Book your spot in our spring 2012 dog days now! April 14, 2012. Space is limited, so book soon. 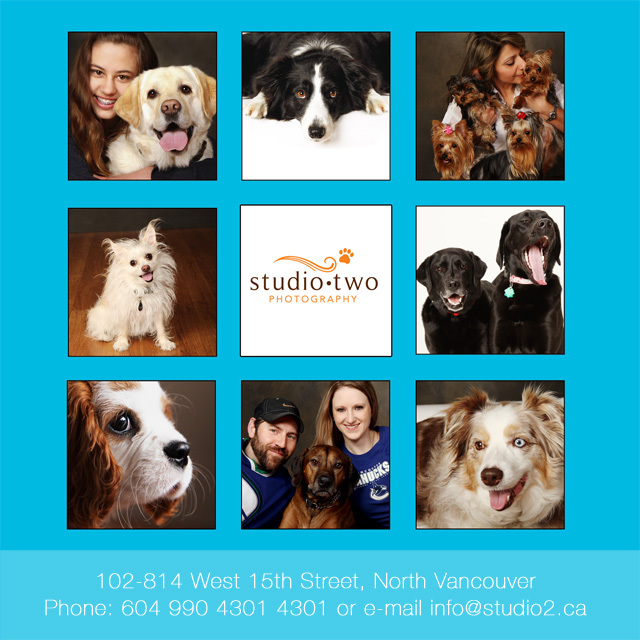 You can book by e-mail, info@studio2.ca or by phone 990 4301. This entry was posted in Dog Photography, Specials and tagged north vancouver dog photography. Bookmark the permalink.